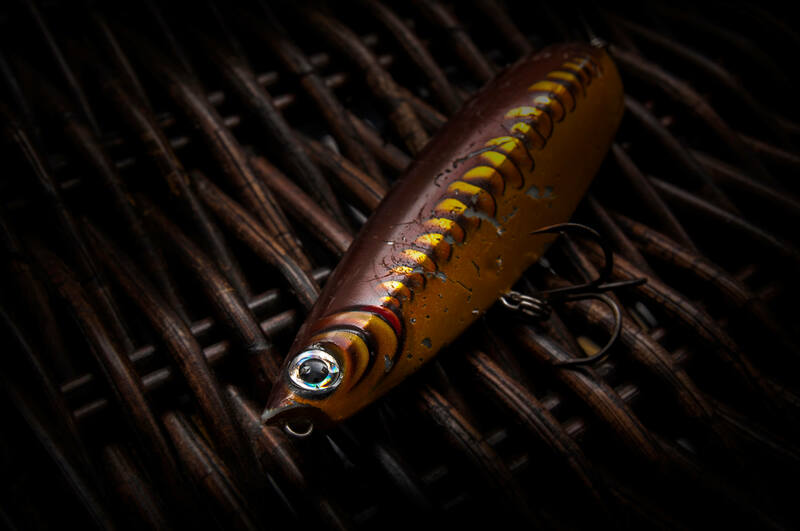 When chasing for large predatory fish like the northern pike, a big lure can often be the game changing factor to nail that dream-sized beast. But it can be scary to take a step from your comfort zone and into the big game. Will I get any bites on the larger lures? How should I fish them? Won’t I catch more using smaller lures? These are questions we all ask ourselves before getting comfortable with using bigger lures. It´s a question of changing your mindset and daring to believe in what you are doing. Today I want to talk about this very important step you need to take to proceed and grow as a predator angler chasing trophy fish. There is nothing wrong with using smaller lures of 8-13 cm or less. They can be super effective weapons targeting big fish. On some occasions they really should be used, since downsizing can be the key to success on a hard day, or when fishing pressure is high. Often, large specimens are more prone to hit a bigger target, giving them a lot of energy in return for their effort. Eating a big meal is why they grew so big. Chasing small fish is not energy-efficient for the big fish. Of course, there are exceptions to the rule - like when big pike are hunting in big schools for small whitefish; they actually can easily fill their belly with many small fish. But more often than this, they tend to target larger individual meals such as bream, big roach, perch, trout, burbot and so on. That’s why using big lures is key to victory. Even though the main purpose of big lures is to imitate a large meal worth chasing down for a big fish, there are more benefits in using them. A big lure, creating a generous silhouette, is much more visible from a greater distance and thus easily detectable for pike. The big body of an upsized lure moves more water when in motion, which creates louder sound under water by sending out vibrations. The pike picks up the vibrations with their lateral line, which is a fine instrument built for observing its surroundings and detecting when prey is getting closer. It works even in very muddy and murky waters. Big lures deliver both on shallow and deep water. When fished in the shallows, they create a big horizontal silhouette and send out a lot of vibrations. Pike tend to target sound on shallow waters, since the visibility through vegetation and sunken trees is limited. On the other hand, in the deeper waters they hunt more with their vision. It’s easy to understand that a larger object is more effortless to see from distance than a tiny one. Imagine yourself trying to spot a miniature flying bug 10 m high against the sky and compare that to a big bird which you can see from miles away. It’s the same for the fish. The clearer the water, the higher the visibility - and sight plays the most important role. But then again, the vibrations are very important when fishing deep muddy water, in which the big fish use their lateral line to locate the target. If you have never tried big lures before, know this: it will take a change of mindset. My personal story of stepping into the world of bigger lures was many years ago, when I just decided that no matter what, I will fish only big lures for a whole summer. 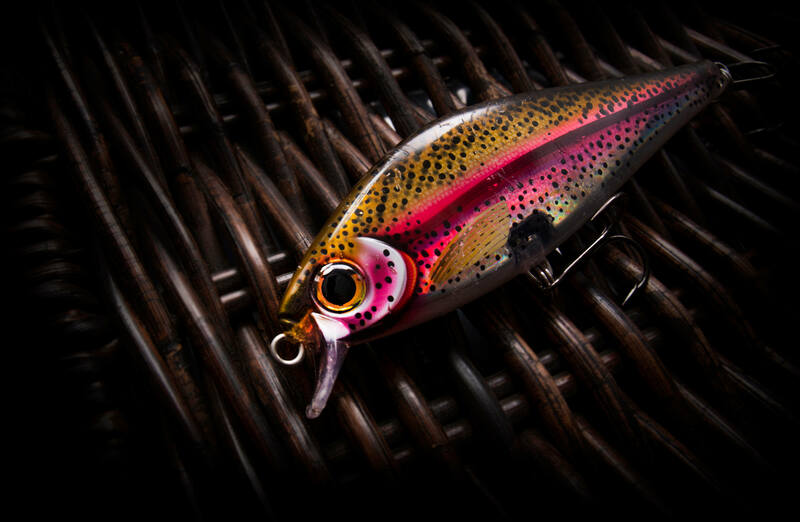 When I bought my first really big lure and looked at it, my thought was that sure… some pike will take this, but I will probably get very few bites, so the first attempts fishing them was mentally tough. When the hits didn’t occur, it was easy to start looking in the tackle box to switch to a smaller lure, just to get some action. But then I started catching fish on them and my confidence grew! With time and lots of fish caught on big lures, I quickly realized that I was landing a lot more big fish than ever before. Today, many, many years later I find myself catching even more fish in numbers than before using the big lures. So with this experience, I can say that small lures not are automatically better at delivering more fish. 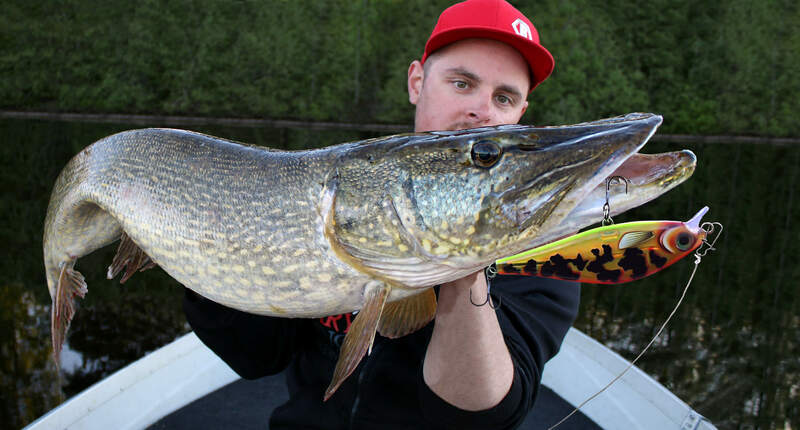 I have experimented with lures up to 60-70 cm and still caught plenty of pike, and I believe that there is no chance that a lure can be too big for a pike. But they can get too big for us fishermen to handle due to heavy weight. The optimal solution are lures, that are large enough for big pike and small enough for us anglers to cast all day long. The new range of Rapala pike lures including the X-Rap® Peto, Super Shadow Rap® and X-Rap® Scoop are just perfect for this task! Make up your mind, dare to try and give it time. Get comfortable with your new arsenal of weapons and tune your tactic and style. You’ll get rewarded BIG time! Casting for big pike with a surface bait is probably one of the most exciting ways you can fish here in Sweden; and right now late into our beautiful summer evenings, I feel that there’s no better chance to connect with a larger fish on top water at any other time of the year. 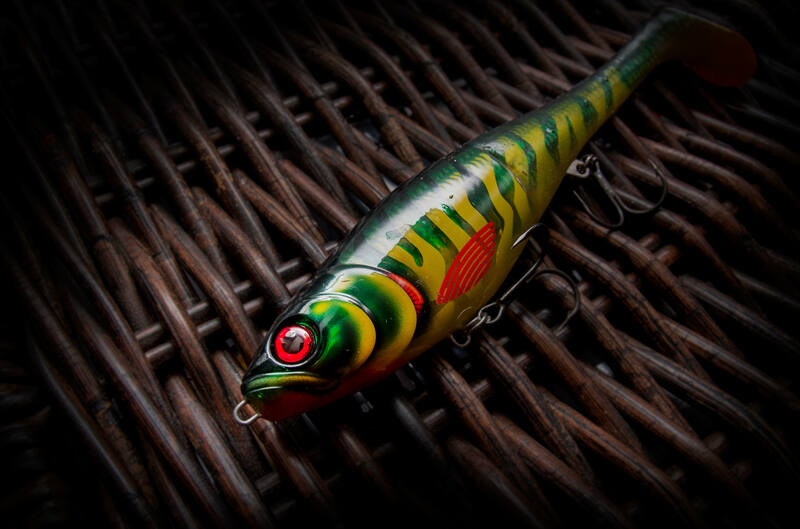 If you’re a serious pike angler, you’ve likely heard of Rapala’s newest trio of predator baits that have been flying off shelves as fast as they’ve been filling them.